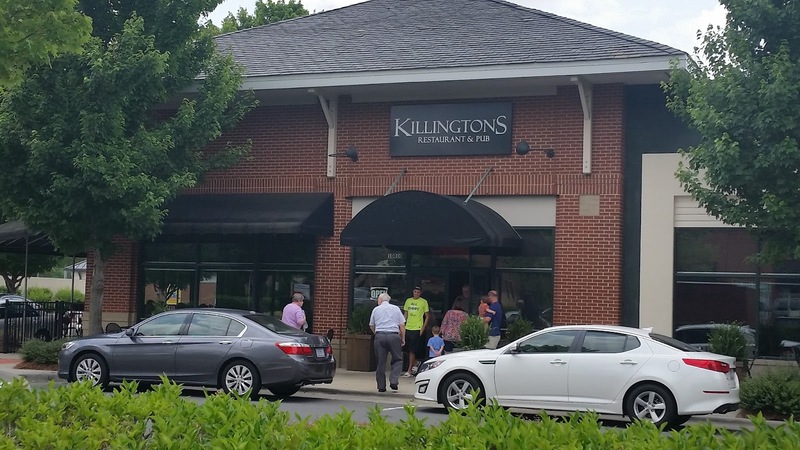 This edition of Excited about Eating takes us north of Charlotte to Huntersville and to the first gastro pub in Mecklenburg County, Killington’s Restaurant & Pub. This pub located in Rosedale Shopping Center has a great atmosphere with outstanding food and covered outdoor seating. 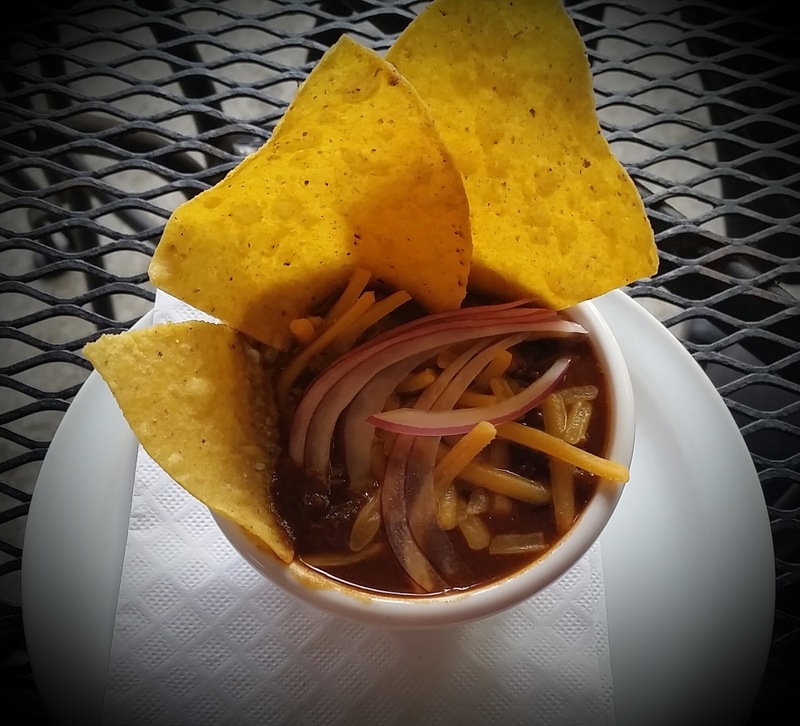 They claim to serve “high quality food in a casual atmosphere.” After our experience, we’d agree. On weekends Killington’s offers some additional brunch items to cover those appetites craving a breakfast alternative. 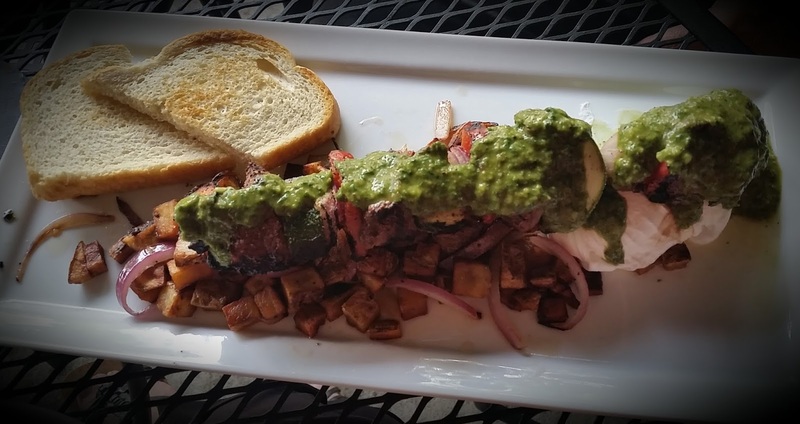 I chose a brunch special: steak kabobs and poached eggs served over home fries with sourdough toast. The kabobs consisted of colorful red and green peppers and onions and were blanketed with salsa verde. The steak was cooked perfectly, the veggies still had a crunch, and the salsa verde was the perfect complement for the dish. Outstanding, and I’d definitely order this again! Dora here. 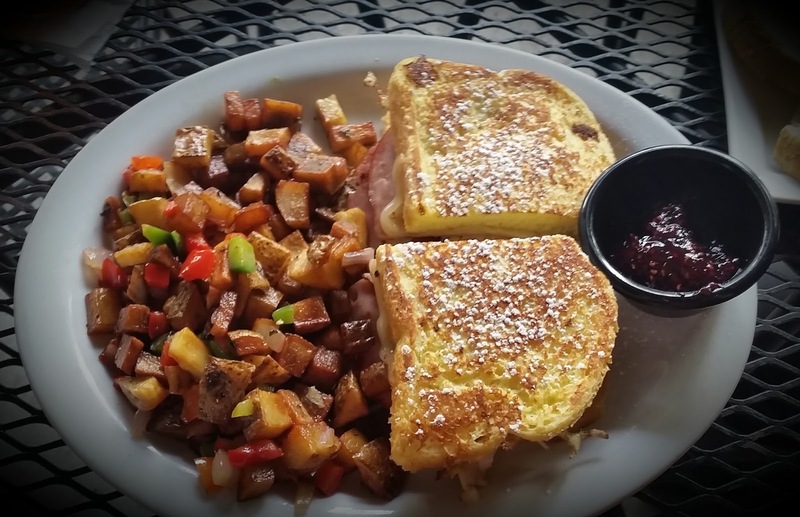 So many items on the menu were calling out my name, but I finally decided on the Monte Cristo, ham, turkey and Swiss cheese piled on sourdough French toast sprinkled with powdered sugar and raspberry preserve for dipping. Oh my!! It’s been ages since I enjoyed a Monte Cristo. The batter on the bread was light and subtle, not eggy, and the raspberry jam took this sandwich from ordinary to lick-my-fingers delicious! 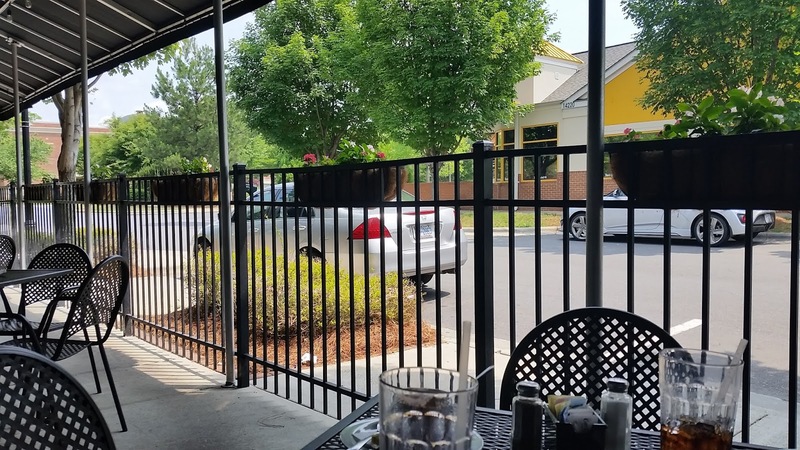 Oh, and the outdoor covered patio was so relaxing, not too loud or hot, the best spot to enjoy this summer lunch. What about you? Have you eaten at a gastro pub yet? What did you think? Tanya, it is my understanding that a gastropub is a pub that takes normal pub food and they elevate it to a new level.